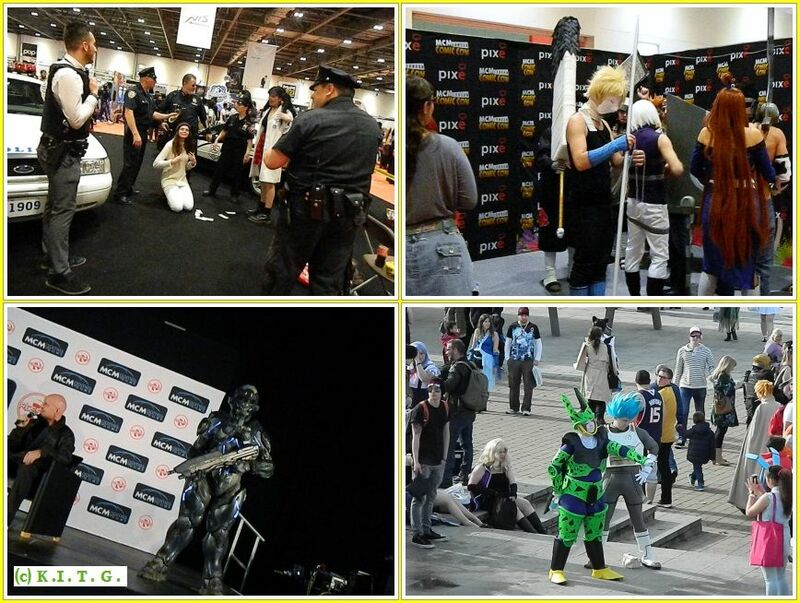 The end of October saw the MCM Comic Con return to the London Excel centre for it's second London show of the year. 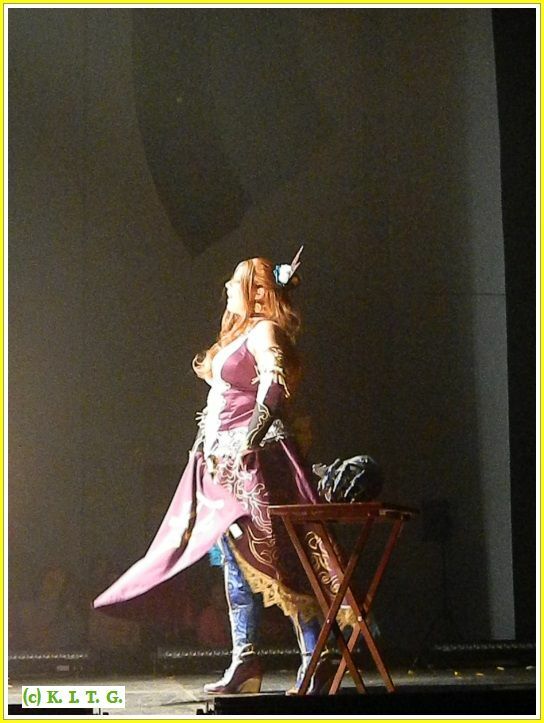 We attended the main weekend both Saturday and Sunday as well as staying for the Saturday night European Cosplay Championships . Here we give you the low down on the weekend in general . 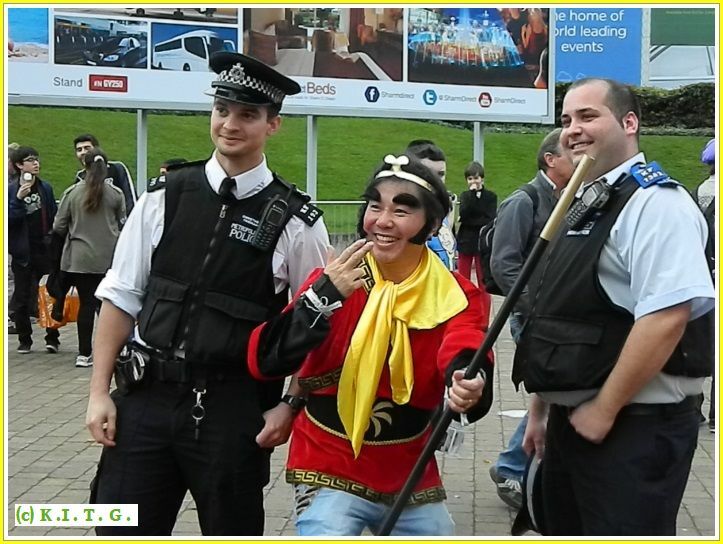 Saturday was a mediocre day weather wise with a slight chill and a possibility of turning wet , it was also a day where once again tickets where sold out , so I new it was going to be busy , plus with the weather it also meant less shenanigans going on outside. Any way after arriving and collecting our press pass I could see that it was quite busy with literally hundreds turning up in cosplay. 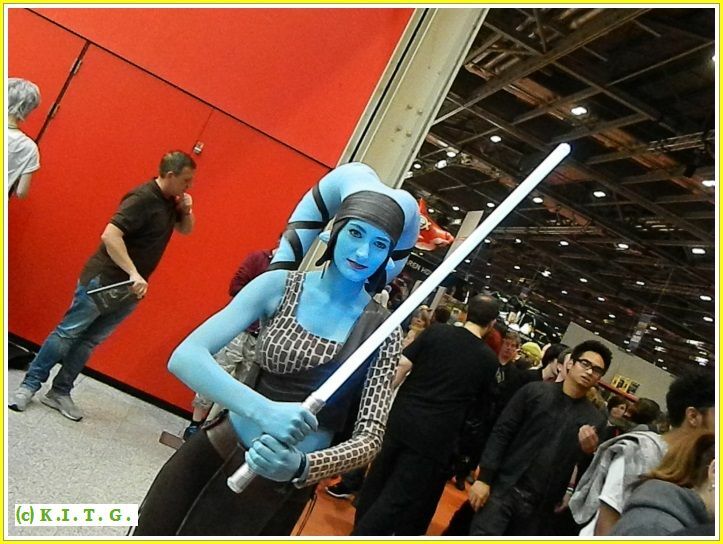 My first encounter was one of the Imperial kind as I came across Emperor Palpatine and a slew of Storm troopers but lurking in the shadows was Jedi Master Aayla Secura to attack.. 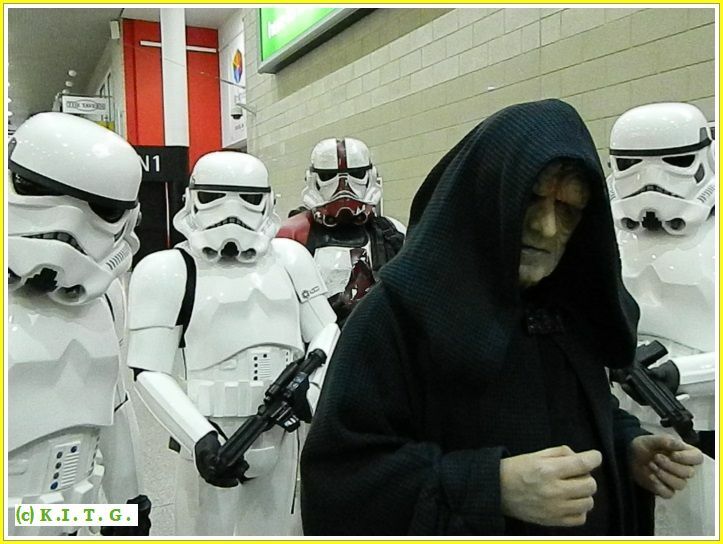 Yes the force was strong at Excel this year. 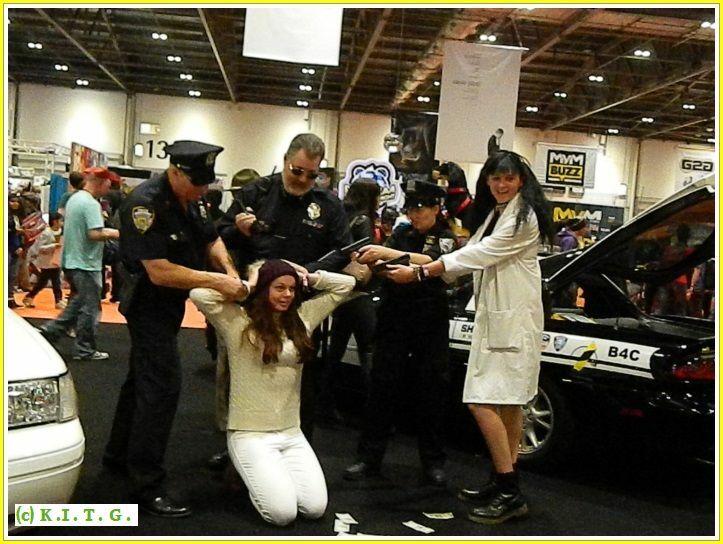 Further on the show floor where American Police officers hassling the locals. 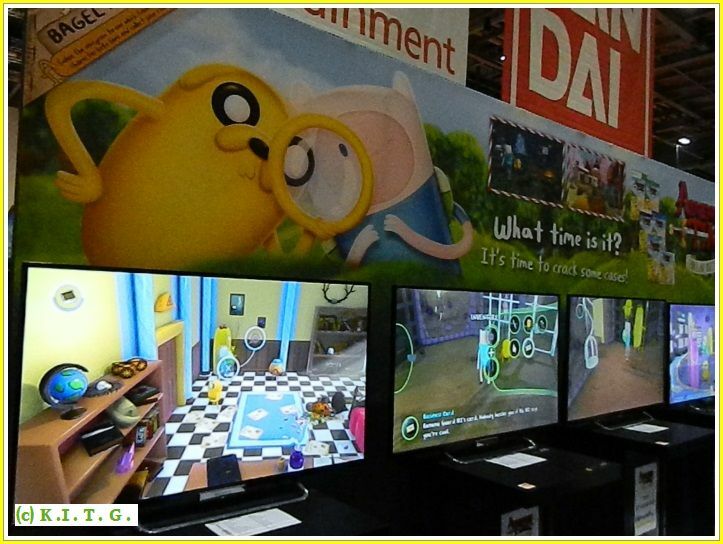 With this in mind we chose to do scour of the gaming stands to see who and what was playable . 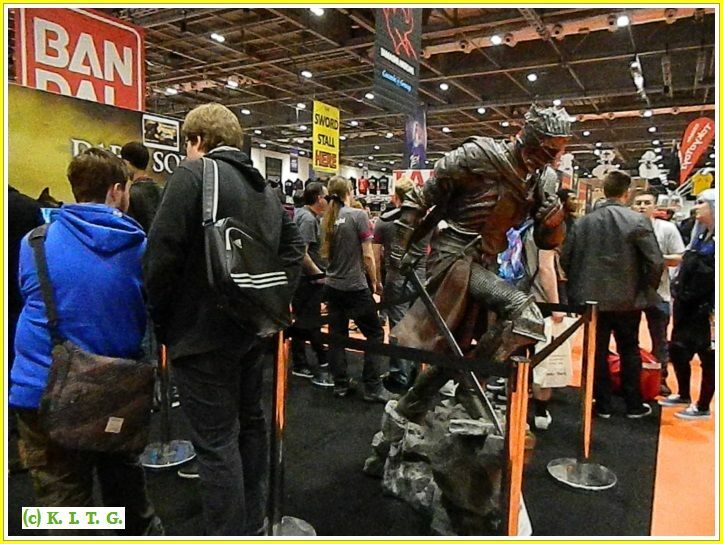 Gaming wise it was a mix of major releases like Assassins Creed Syndicate , Dark Souls 3 and indie titles. 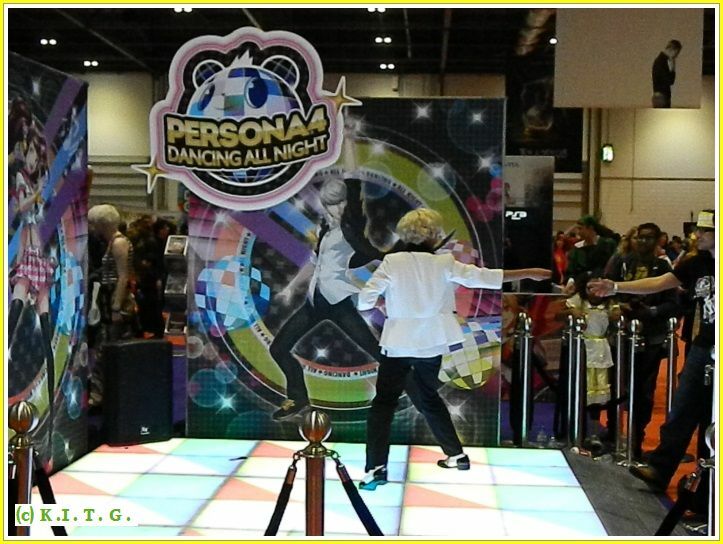 So a broad variety of games for all to play, Maybe my one disappointment was the absence of Nintendo ,but if I remember rightly Nintendo only seem to do the May event from my experience. 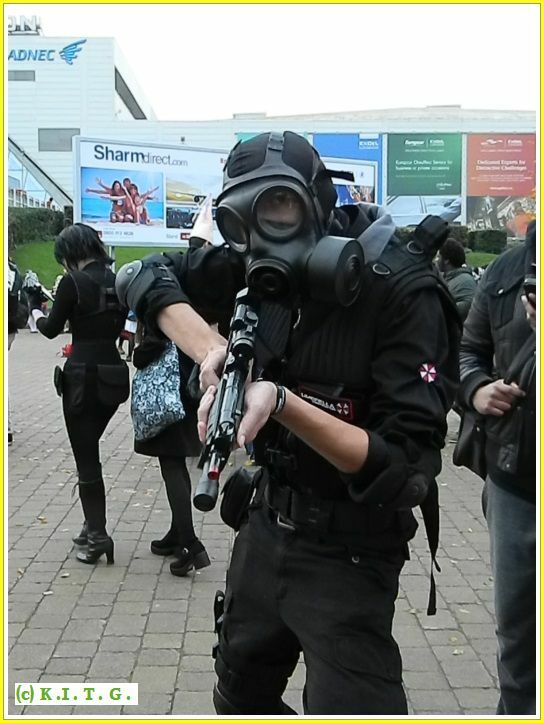 And they had just appeared at the EGX event in Birmingham just four weeks prior. 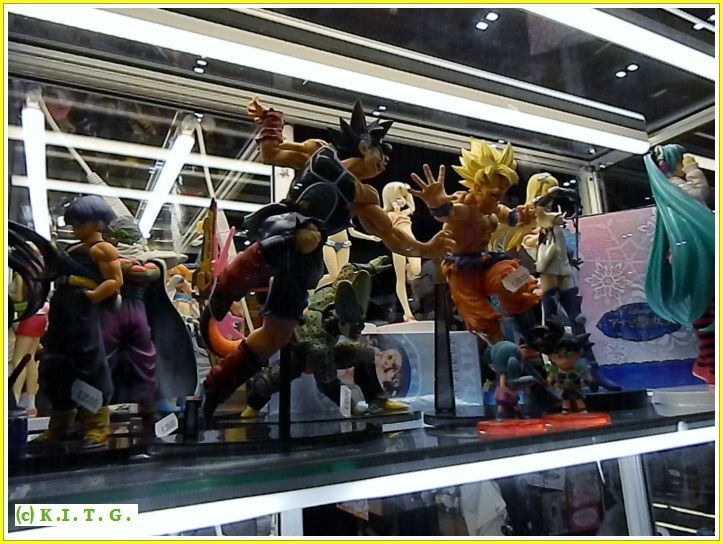 Bandai Namco where in attendance with a range of games from Adventure Time Investigations , One Piece , Naruto and more . Anyway I new I had a couple of days so went to have a browse and see what was happening at some of the interview panels . 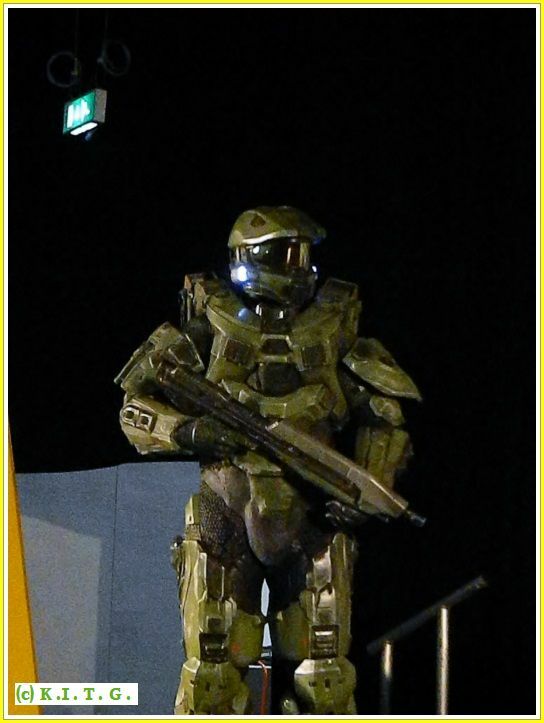 So after checking a timetable it was not long before we decided to do our first panel for Xbox franchise Halo. 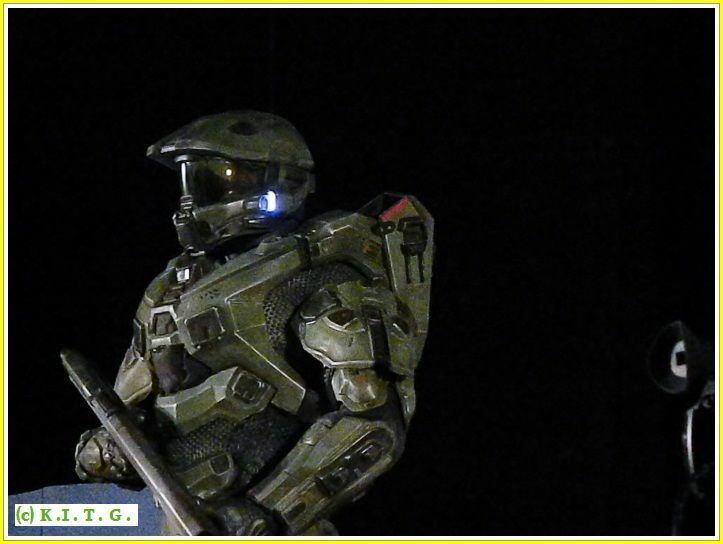 Halo fans had poured into the theatre to see footage and gameplay of Halo 5 Guardians with 343 Industries franchise director Frank O'Connor in-attendance to answer questions about the game. 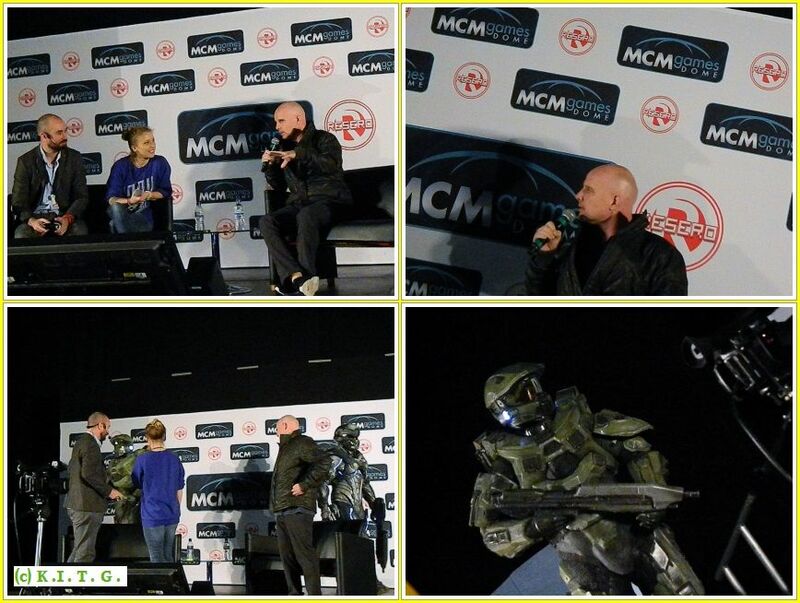 As they where introduced the waiting fans where in for a surprise as Master Chief and Osiris flanked Frank O' Conner as he walked on stage ..
After watching the opening scene for the game Frank O' Conner was interviewed and talked about how the game was produced and where they wanted to go with the game after Halo 4 , whilst this was going on Halo 5 was being played so we could see the game in action as intricacies of the game where revealed by Frank O 'Conner . The whole interview and preview was about a hour long so fans got a good insight into the game and some got to Q&A with Frank O'Connor. There's no doubt that Halo 5 Guardians is a lovely looking game and retains the feel of the original games. This is mostly likely due to Frank O' Conner being the franchise director across all of the Halo games and actually left Bungie when they went Independent from Microsoft , choosing to stay with Microsoft and 343 Industries to continue the franchise . I must admit I only have the first three Halo Games and have yet to indulge in the first of the 343 games , but I remember the impact the first Halo had on the FPS genre and how it has been copied since. 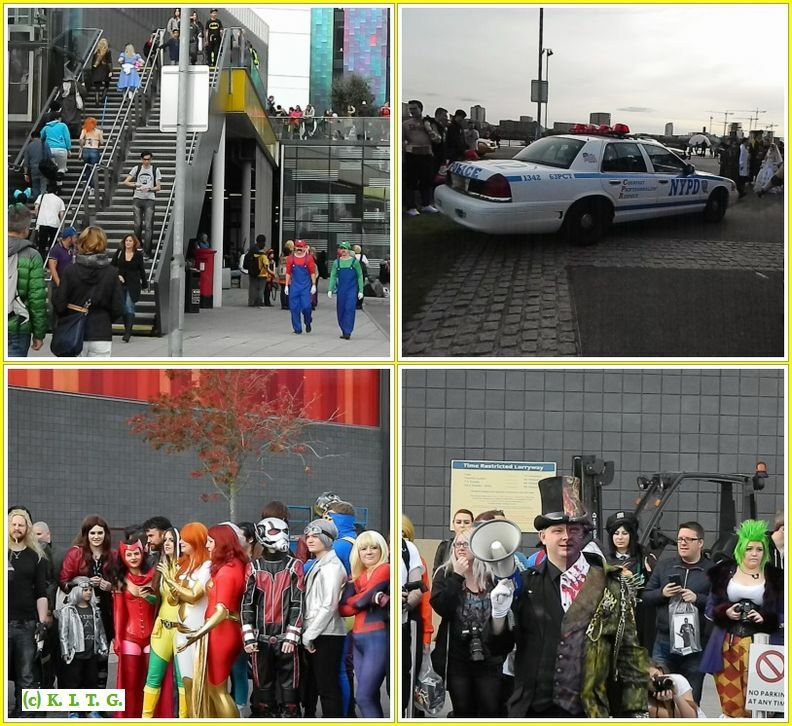 After the panel we decided to see what was going on outside and if any where braving the weather , there where quite a few taking a breather in the breeze in there costumes and this gave us a chance to snap some of the cosplayers . 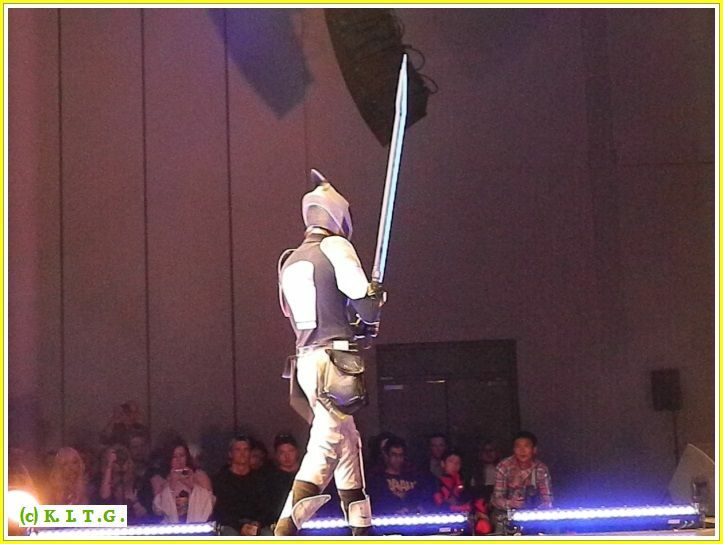 Even Monkey was there as well as Lego Batman . Now what you done Monkey! 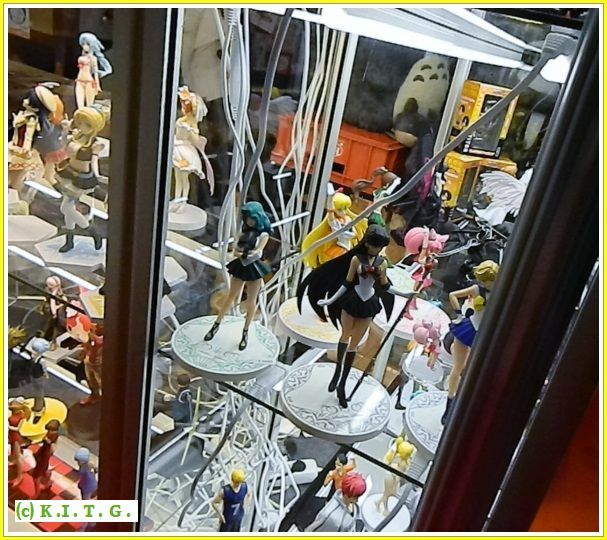 But it was quite chilly so I went back inside to browse the stalls full of action figures , plush toys , Games and DVD's. 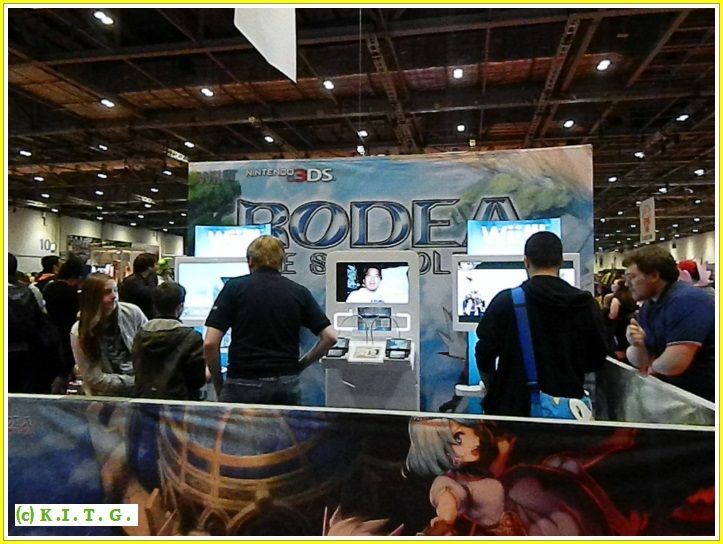 This also gave us a chance to view some more gaming like the Only Wii U game at the whole show , Rodea the Sky Soldier being released by NIS in the West . It's also being released on the Nintendo 3DS as well , but the bonus of the Wii U version is that it comes with the original unreleased Wii version for it's first run. 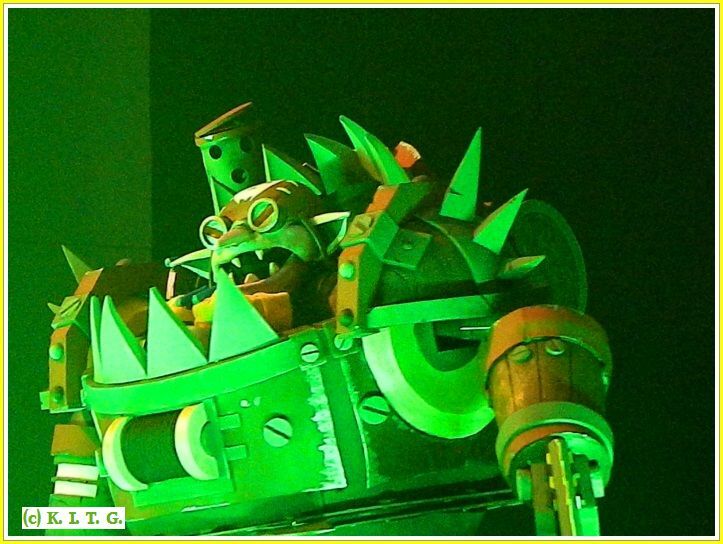 So gamers can experience the game as creator Yuji Naka ( Sonic the Hedgehog ) intended. 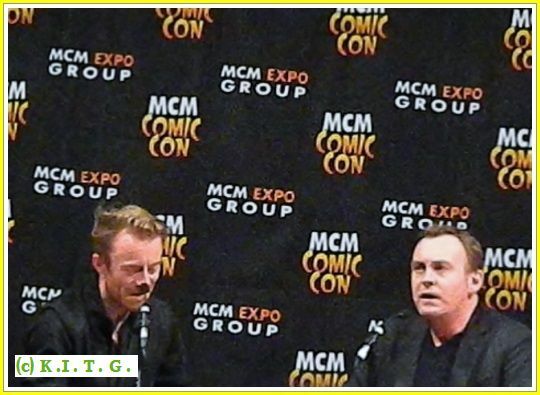 After some gaming and a good browse ,some food and drink it was time for our next panel with British actor Phillip Glenister ( Life on Mars , Clocking Off ) , the panel was to promote a new series filmed in the USA called OUTCAST . Philip plays Reverend Anderson in a ten episode first season that surrounds the subject of possession. This horror drama based on a comic story by Robert Kirkman. A couple of the preview scenes they showed are definitely not for the squeamish. From the style and subject matter though this new horror series looks set to change the way many have perceived horror in recent years. With all the many Zombie and Vampire , Werewolf series that seem to milk it to the point where it all becomes a blend of the same thing Outcast looks to bring back real horror where it's as much as about your imagination as it is the special effects or gore . Fans of classic horror from the Hammer days and films like ''The Devil Rides Out '' and ''To the Devil a Daughter '' ( actually one of Philip Glenister's favourite films ) will fell right at home . Philip Glenister also gave a insight into his career and how hard it can be to get certain roles , especially if your face don't fit. It's often the case he says that inexperienced actors or ones that are not known for heavy character acting to get roles because of popularity as oppose to being actually the best possible person for the role . Philip Glenister is one of those actors that you may not know his name instantly or be able to put a face to the name but once you see him you know who he is , it's quite remarkable the amount of series and even films he has been in. 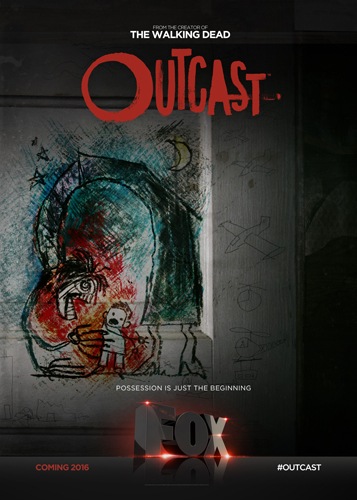 Outcast releases in 2016 in the USA on Cinemax and internationally on FX . 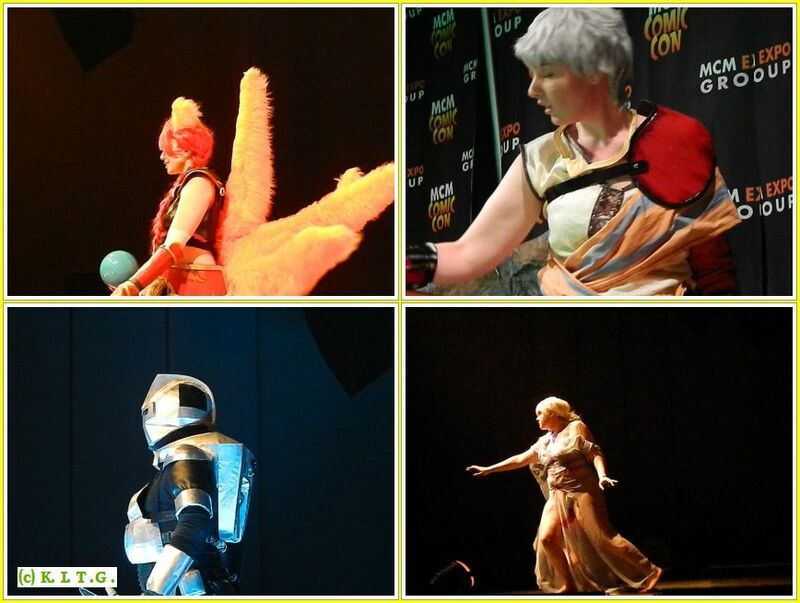 With Saturday drawing to a close for the main show floor , it was time for the Euro Cosplay Championship which took place in the main theatre for the show . 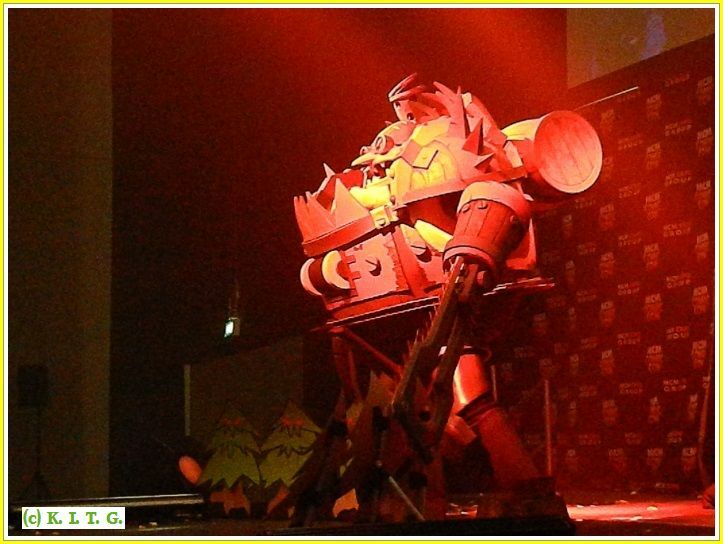 Starting around 5.30pm this cosplay extravaganza which sees entrants from all across Europe taking to the stage to showcase their hard work in cosplay construction as well as putting on a good performance to boot. Getting our spot in the press area close to the stage we where set for the UK's premier Cosplay event which is streamed live the world over on Twitch . 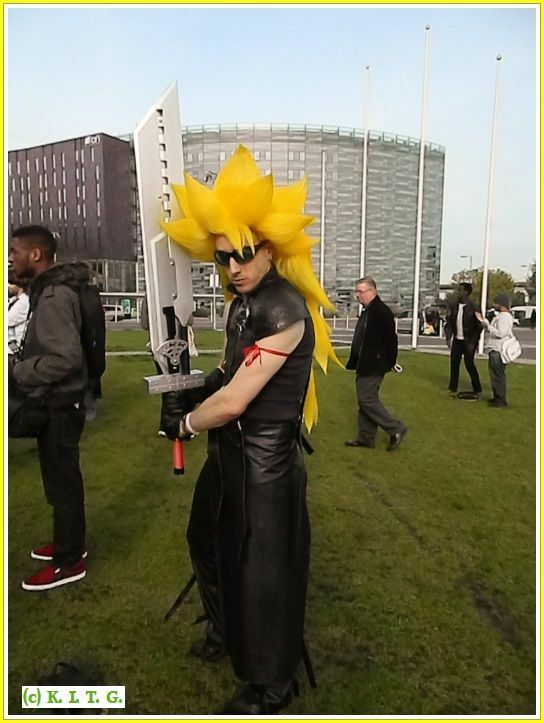 Though our sister site will go more in depth on the show in a more dedicated overview of the cosplay , however there where some amazing entrants from the likes of Final Fantasy from the Ireland entry and classics like Captain Hook from Peter Pan for a entry from Belgium. 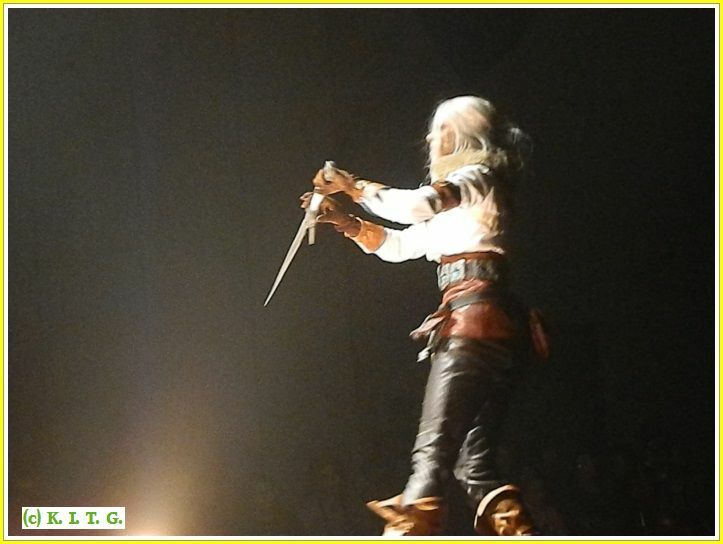 Of course some of the favourites with the crowd where cosplays from recent media like ''The Witcher 3 '' where Switzerland's entry portrayed the popular games character CIRI . 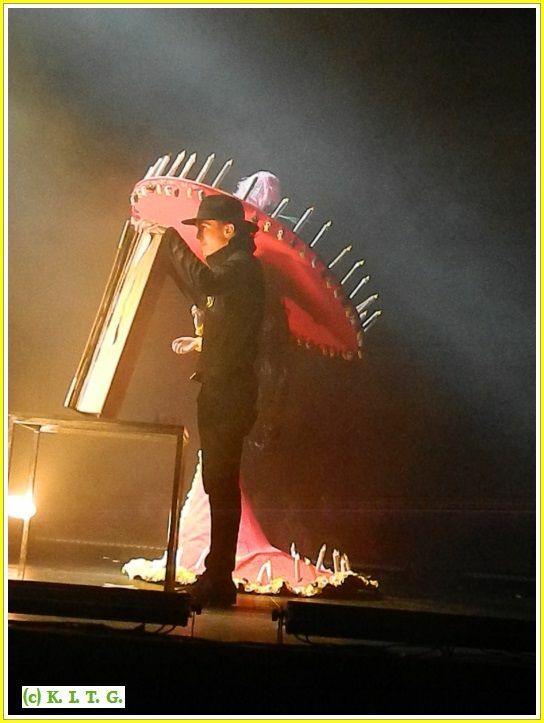 But even extravagant not so well known influences proved popular purely due to the scope of the cosplay , like La Muerte – The Book of Life from the Bulgarian entry. From our point of view our favourites included two entrants from the Czech Republic with Rizzrack the Timbersaw from DOTA2 purely for the scale of the cosplay and of course from a martial arts point of view the other Czech Republic entry we liked was from console game Dynasty Warriors 8 and the character of Zhang Chunhua. Another entry we must mention is the Lithuanian entry whose construction was phenomenal , also the character of Commander Shepard from Mass Effect 3 is as one of the most iconic from the past ten years of video games. 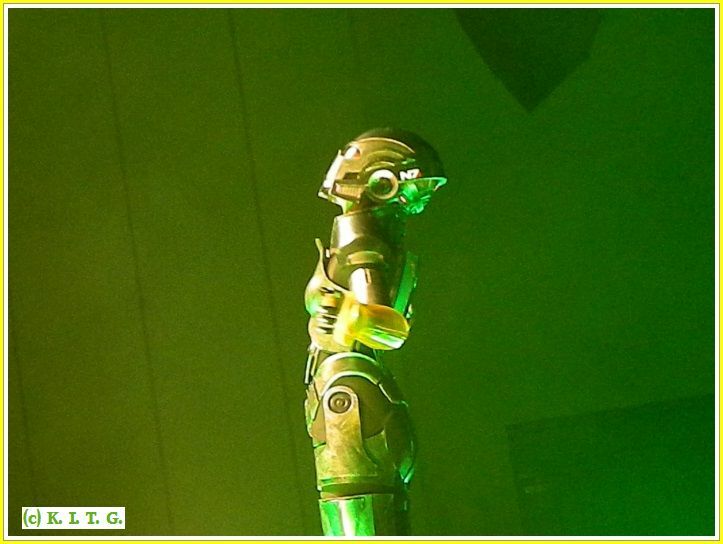 We will cover more of the cosplay in a cosplay special on our sister site. 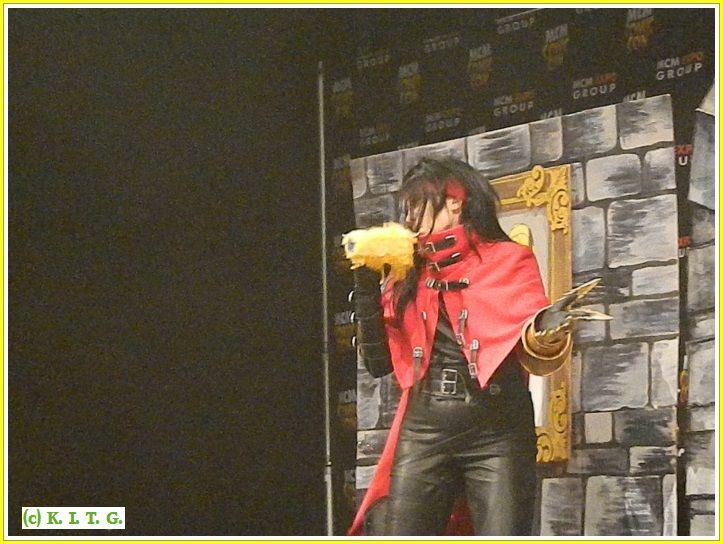 The cosplay championship went on till around 8.30pm and was enjoyed by all. It was a long day but well worth it. Now we just had to get home refuel and get ready for the next day , yes we where heading back the next day for more crazy cosplay and gaming and more. 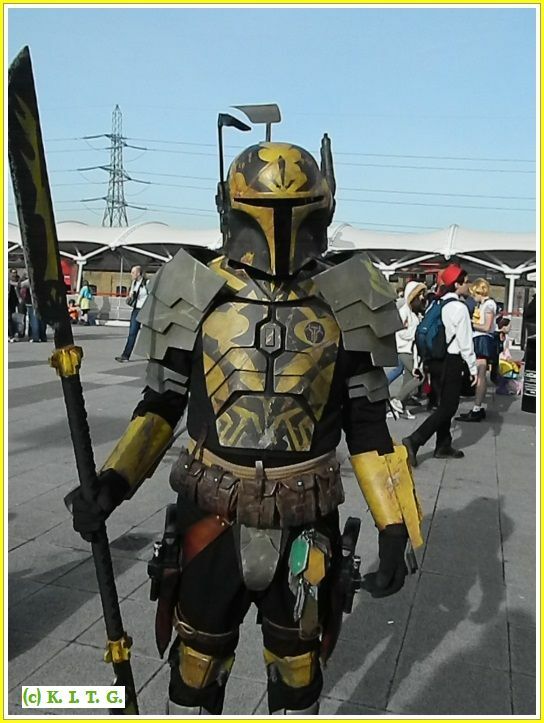 There where a few things we wanted to see on Sunday so another day was on the cards, it's always the way but Sunday is always slightly more relaxed at MCM due mainly to the fact that most turn up on Saturday for the show, maybe they all feel they need to recover on Sunday before going back to work on Monday. 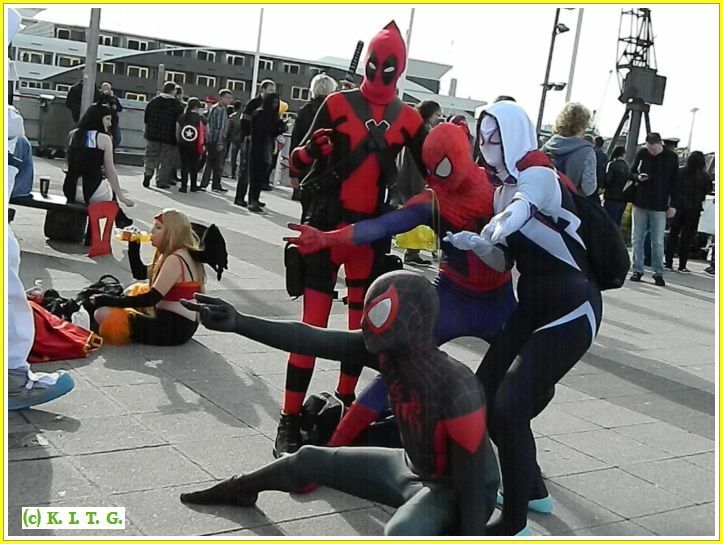 Funny enough Sunday was a much nicer day , the sun was out for some of it and it was not as windy, so turning up was a surprise to see many cosplayers outside enjoying the sun , this of course gave us a chance to snap some of the cosplayers . Heading inside our aim was to get some gaming on the go , first up was Ubisoft's Assassins Creed Syndicate on PS4 , after a short wait we where in the enclosure and we must admit where pleasantly surprised with the new rendition of the series which is set in Ye 'old London town . The novel aspects of being able to hijack carriages is fun and even though the basic gameplay is the same as others in the series , Syndicate is quite polished and after last years Unity which had a host of problems and bugs sees the series back on track . Dark Souls 3 was proving popular on the Bandai Namco stand with queues to play being quite a wait, we decided to give it a miss. 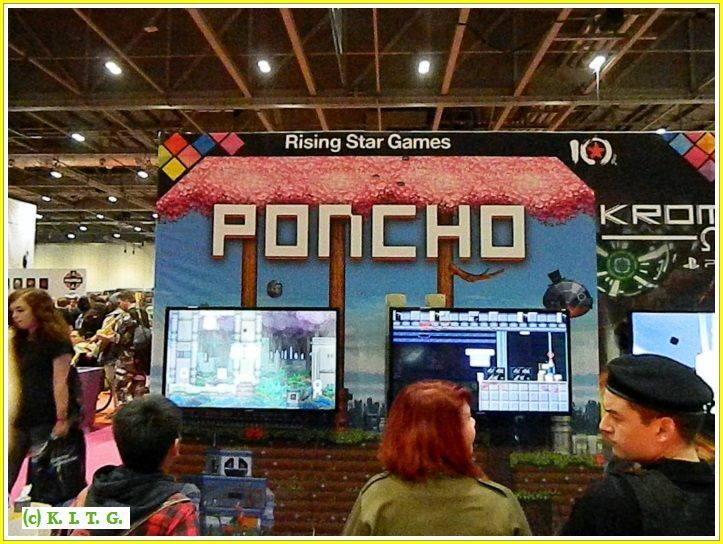 Indie game Poncho was another game I wanted to see , this 2.5d platform game is quite a novel idea where you can move into the foreground or background to navigate various platforms. It's quite tricky and watching others play confirmed it was not just me having problems getting very far. Poncho is releasing on PC,PS4 and Wii U.
Venturing round the show floor we looked at the various articles to buy and spotted a couple of articles which look set to be very popular , first up are a new series of Bruce Lee figures being released in the UK which are quite detailed and have multiple joints for posing of the figures . The other range where Samurai figures in the guise of Star Wars characters , Darth Vader and Storm-troopers. 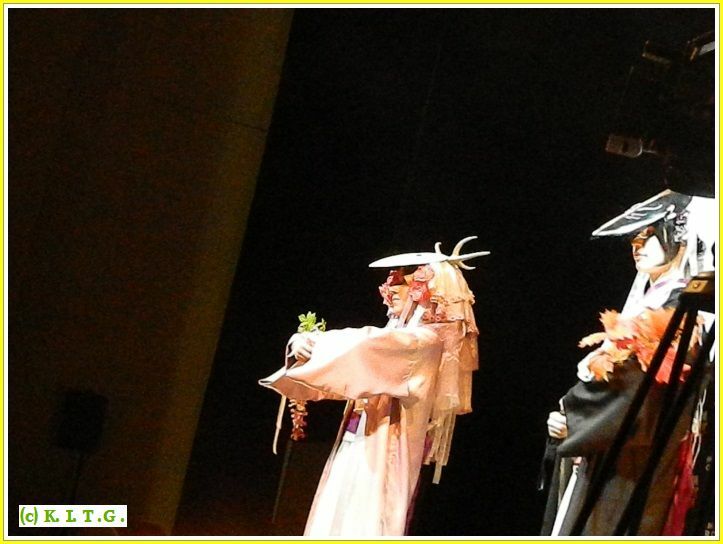 These where very unusual and detailed while capturing the Star Wars theme they also stayed true to their Samurai roots in design. After our look around we ventured outside for a while before heading back inside to catch some panels , first up was the Resdient Evil panel with the Capcom UK representative talking about the remasters for PS4 . This was quite interesting if your a Resident Evil fan , I did question him after on why Capcom chose to just do a re-release for Resident Evil 4 on the Wii U virtual Console instead of offering Wii U owners a remaster like other platforms. A bit crazy when the asking price on Virtual console is more then twice the price that physical copies can be had for on Wii , which actually play on Wii U. 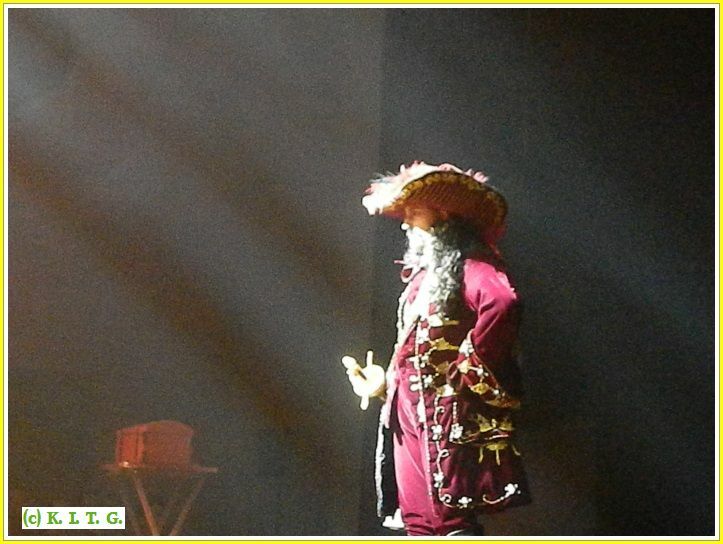 Now after this it was pure luck that we ventured into the next theatre , mainly because the cosparade was being held there and we thought we would get in position for the show. Well the place was rammed and getting a place in the press area we where privy to a surprise panel with Nolan North and Alan Tudyk who is filming the first in a new anthology series of Star Wars films in the UK , these films are set to release in between episodes VII / VIII and VIIII as films concentrating on different characters in the Star Wars universe. Here though the panel was about the new series Alan Tudyk and Nolan North had filmed called Conman . 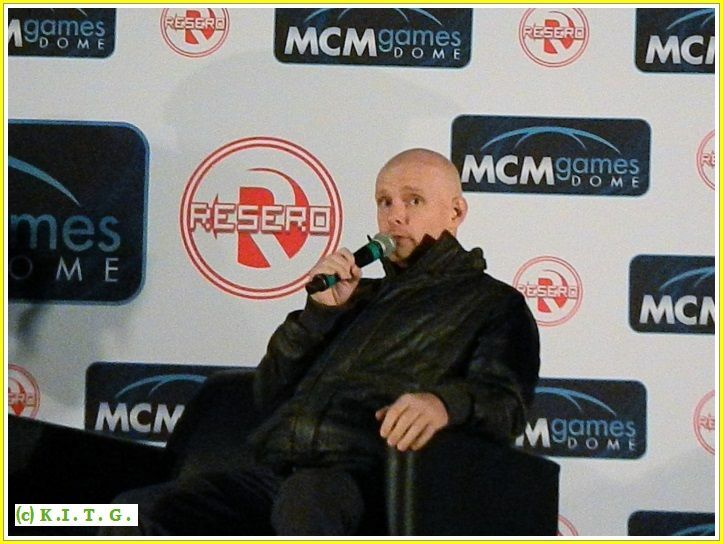 In actual fact the panel went of in all directions due to both actors varied roles , with Alan Tudyk being known for series like Firefly , Dollhouse as well as films like Dodgball (Steve the Pirate) , A Knights Tale , Serenity and Transformers as well as voice acting in video games like Halo 3 , Injustice Gods Among us and others. Nolan North is known for his voice acting of characters in video games and animation, from the Uncharted series as Nathan Drake and Desmond Miles in Assassins Creed to the Penquin in the Arkham Batman series , Nolan North has also starred in many TV series from CSI Maimi . NCIS , Ugly Betty and more. This was a really good panel with both stars really playing to the crowd and generally having fun. As audience members asked questions they would give them there autographs on script notes they had from the series they had filmed. 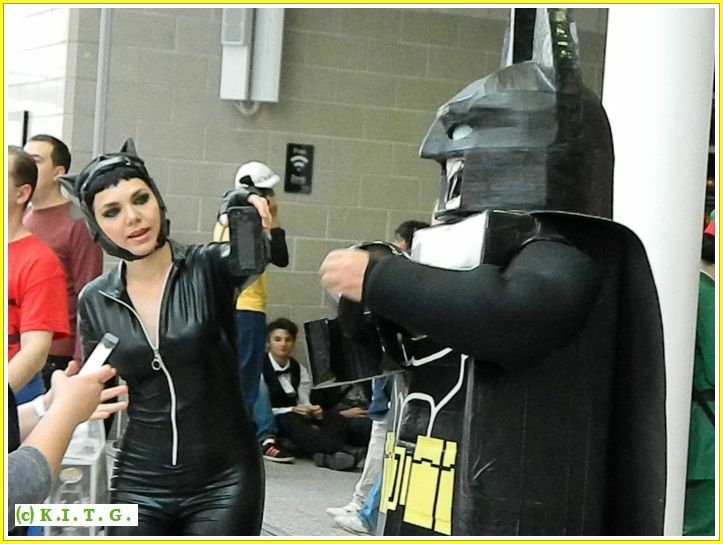 It must have made the day for a lot of fans as the films ,TV and Games they are associated with are all mainstream and well known to many. 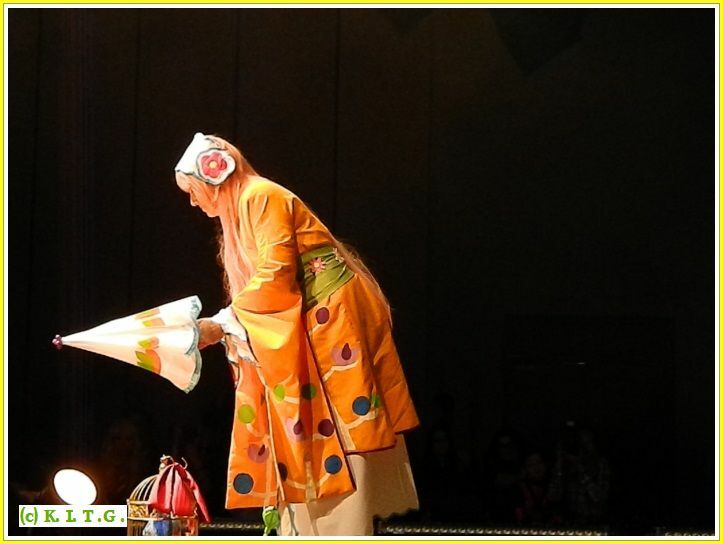 The two stars comic play between each other and the audience really played well and a good time was had by all. It was a fitting end to the day but hey we still had the cosparade to go to round of the weekend for sure. 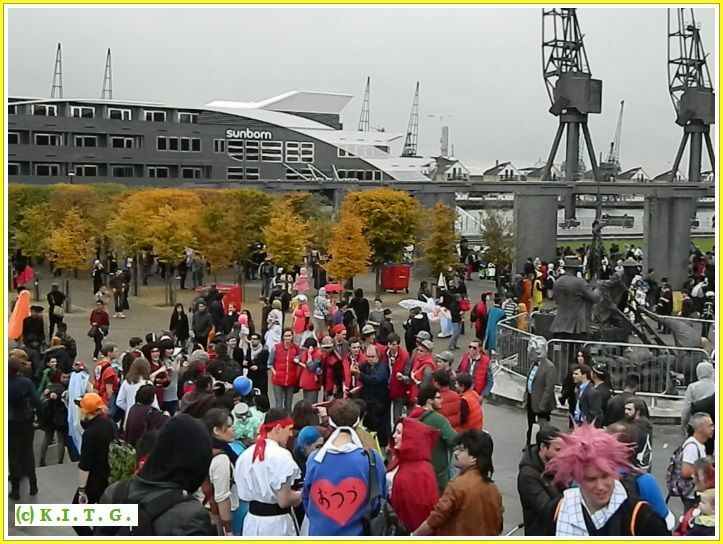 After some preparations by the crew it was cosparade time at MCM on the last day , after the previous nights big show you would be mistaken to think that this cosparade was anything but big. 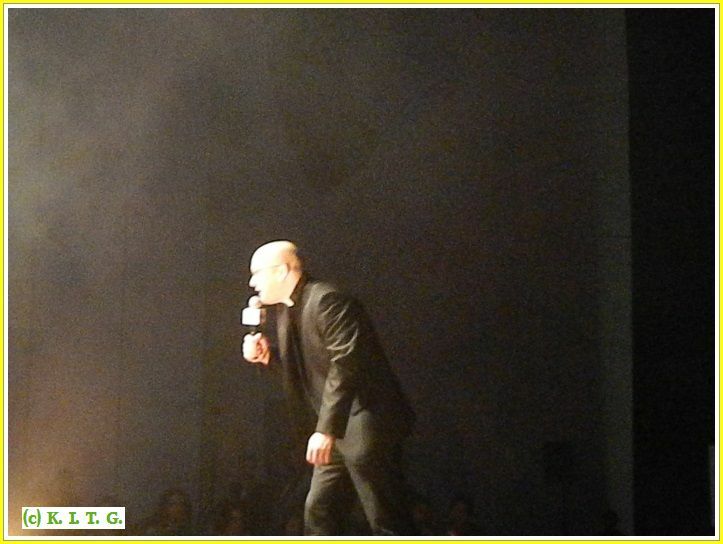 Must admit I didn't have as good a position as the previous night but managed to get some good shots of the entrants . 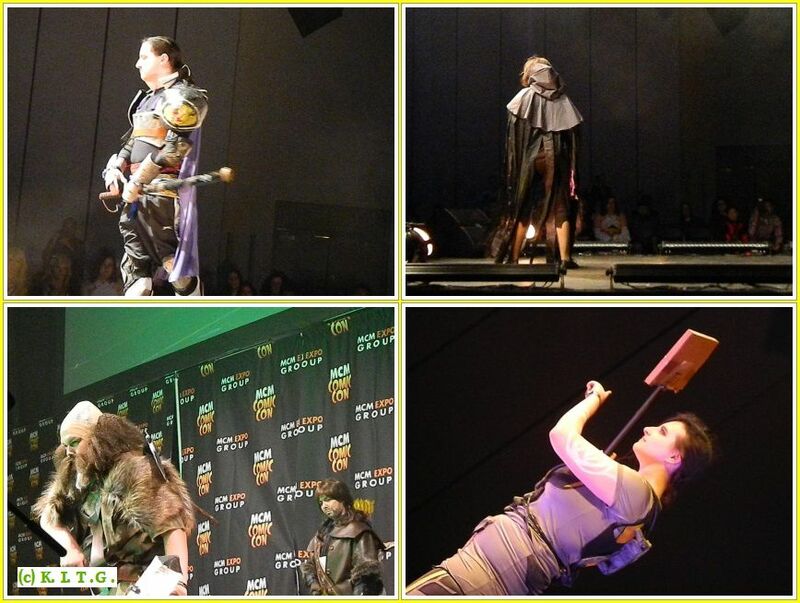 Unlike the Euro Cosplay I was unable to get down the names of the various characters , but I did recognise a few from the likes of Lord of the Rings, Destiny and I believe a ZYLON from BattleStar Galactica . 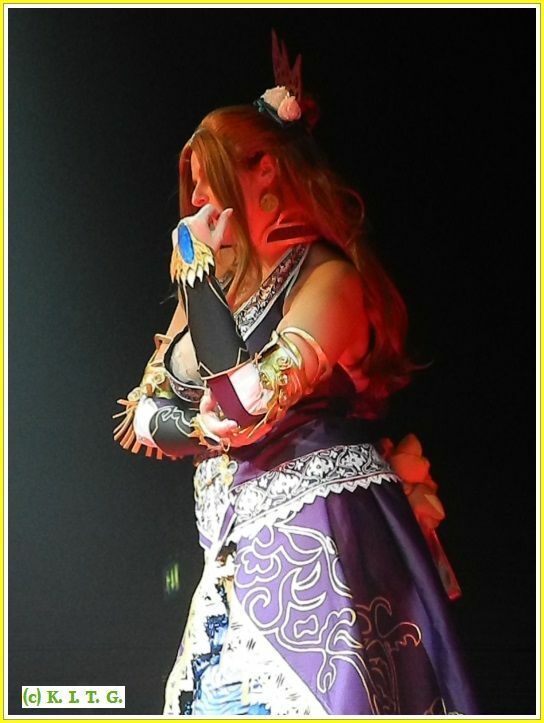 Thee where some impressive costumes again and also the announcement of MCM getting the chance to host the preliminaries for the WCS ( World Cosplay Summit ) next May , where hopefuls will have the chance to represent the UK at Japan's main cosplay competition . 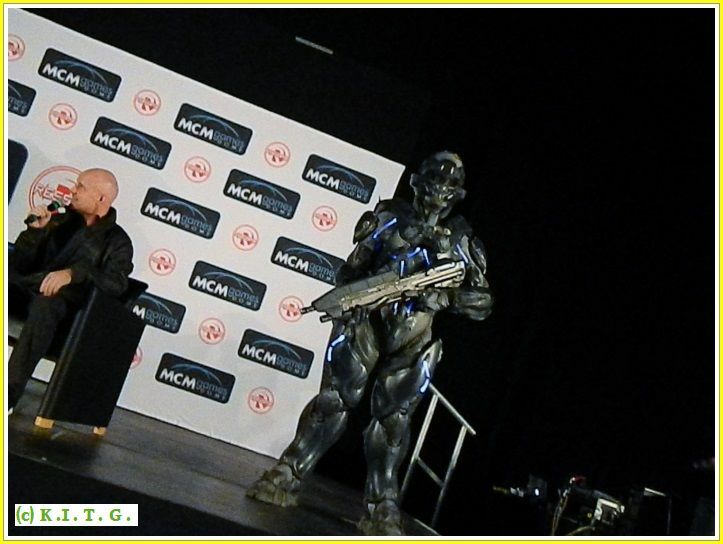 So that was another MCM October show , and a busy one it was. We thank MCM group for the Press pass for the show , it does help when covering events like these and it also helps to the cost when running a entertainment website which in our case in their for the fans and non profitable. 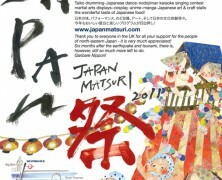 We hope to see everyone next year and wish the best to all. Review by : The Snake of K.I.T.G.